With service and amenities for every age, our gym in Fredericksburg brings fitness to every member of the family. 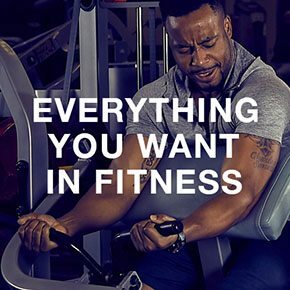 We offer hundreds of group exercise classes every week, single-station cardio and strength equipment, personal training, nutritional counseling, and more. Seniors will find classes adapted to their strengths, and kids will enjoy onsite childcare, kids' classes and camps. With 24-hour access, private locker rooms and a café, American Family Fitness is your one-stop shop for health and wellness. No matter where you are, get ready to get fit! 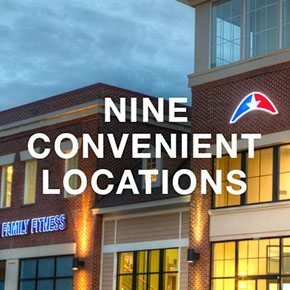 With 9 convenient locations throughout the Richmond area, you'll find American Family Fitness gyms in Chester, Colonial Heights, Fredericksburg, Glen Allen, Mechanicsville, Midlothian, Swift Creek, Short Pump, and Williamsburg. Find one near you and jump into fitness today. American Family Fitness is ready and waiting to meet you! 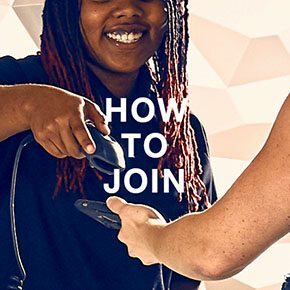 Just stop by the Welcome Desk of your nearest location and meet with the membership director. You'll learn about the many membership levels we offer and determine which is right for you.